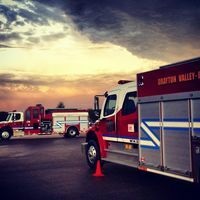 The Town of Drayton Valley, to ensure long term financial sustainability, initiated a review of the water and sewer rates. This report was adopted as information by Town Council during the February 1st, 2017 regular meeting. During the meeting a motion was made that Council approve a full-cost utility approach for water and sewer operations, phased in over a ten (10) year period including a Capacity Charge rebate program within Town boundaries for large service customers greater than 20mm and commencing at a 70% rebate level on the Capacity Charge in the first year. To see the full Town of Drayton Valley Water and Sewer Utility Rate Review from Corvus Business Advisors, Letter to Residents, Water and Sewer Rate Review: Public Presentation click the links. 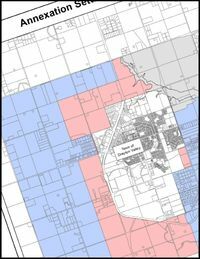 The Town of Drayton Valley undertook a water and sewer utility rate review that was accepted as information during the regular meeting of council February 1st, 2017.Click the link to view the full report from Corvus Business Advisors. A letter was sent to customers was sent the week of March 6, 2017 to the water and sewer customers via direct mail. You can see a copy of this letter by clicking the following link. The Town of Drayton Valley held a Community Information Session was held on March 13, 2017. Thank you to all of those who were able to attend. Click on the link below below is the PowerPoint Presentation that was presented by Corvus Business Advisors. During the month of April a utility bill insert was sent to our water and sewer customers to provide context for the changes coming into effect on May 1, 2017. Click the link below to see a digital copy of the utility mailer sent out to our water and sewer customers. A letter from the Mayor was sent out to water and sewer customers as a flyer in the mail in January 2018 and was also included in customers utility bills. You can see a copy of this letter by clicking the following link.